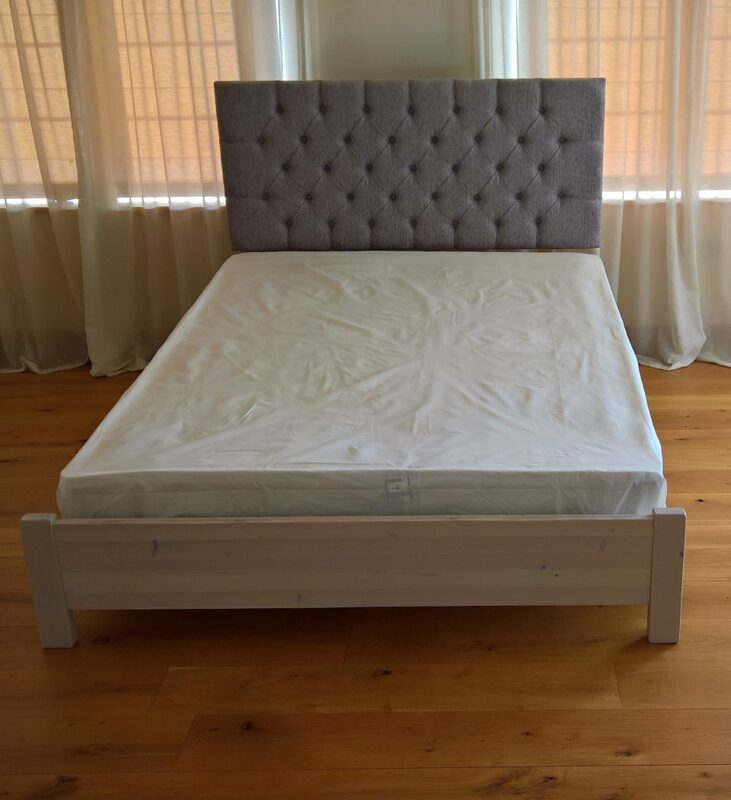 This bed is to be used for inclined bed therapy. 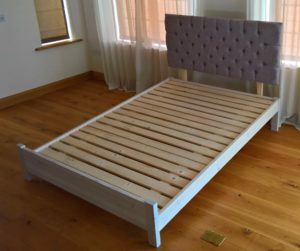 A solid wooden, hand made bed frame with a luxurious button hole upholstered headboard. 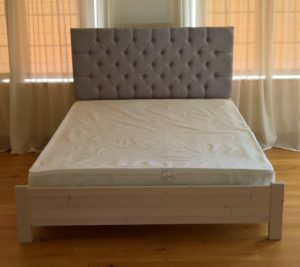 The head board is 60 cm high. 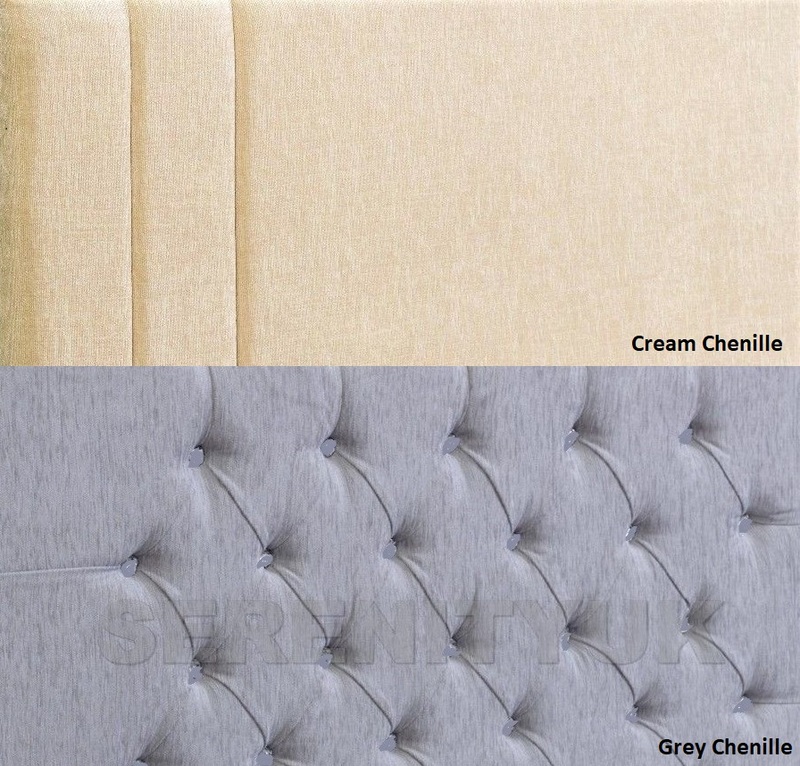 Available as shown in neutral grey chenille with a matching Dove Grey finish frame. 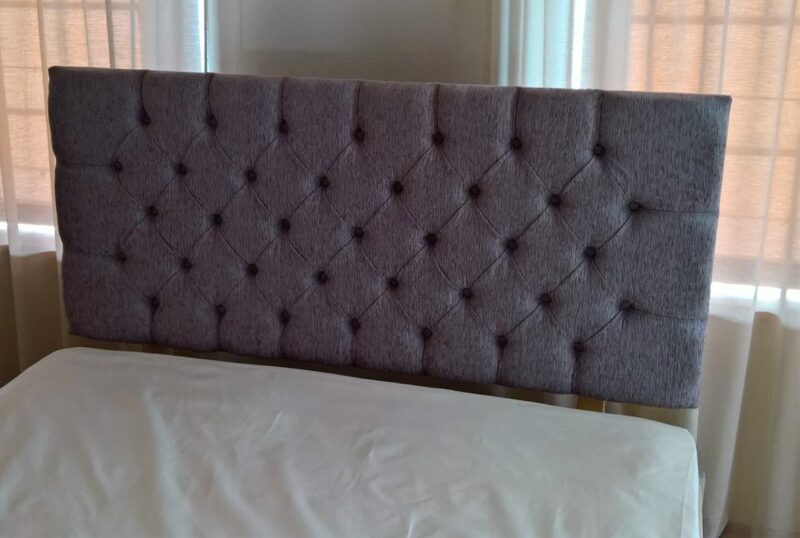 The headboard and frame is also offered in other colour combinations. Please see options when ordering. Available in single size, small double size, standard double size, king size and super king size. 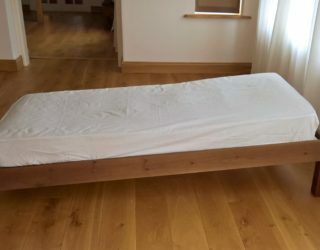 It has a 5 degree slope from the headboard end to the foot board. 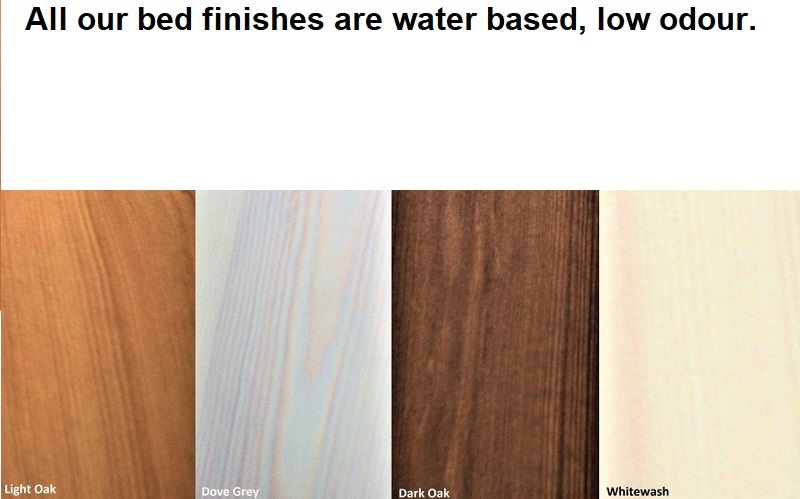 Just like all our beds made in Exeter, it has our water soluble eco finishes. 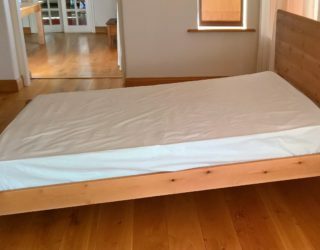 We are also able to offer the bed frame in natural wood with no finish. Gravity inclined sleeping can be beneficial to many conditions. 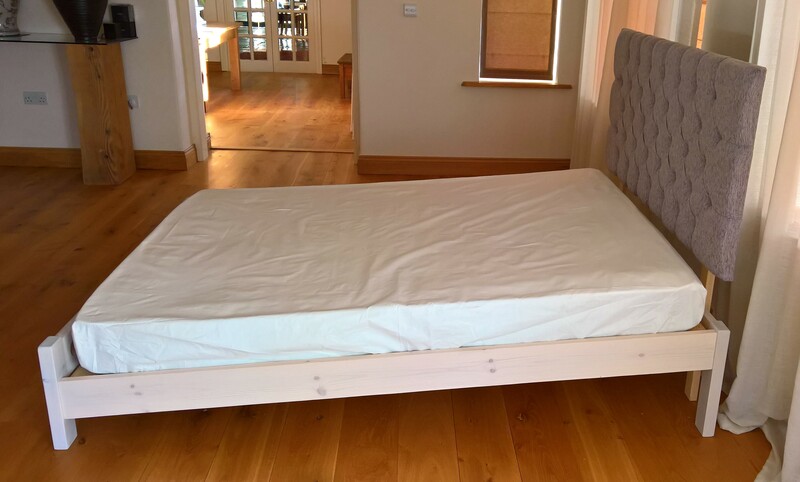 The foot board is raised to keep the mattress in place and stop it slipping. 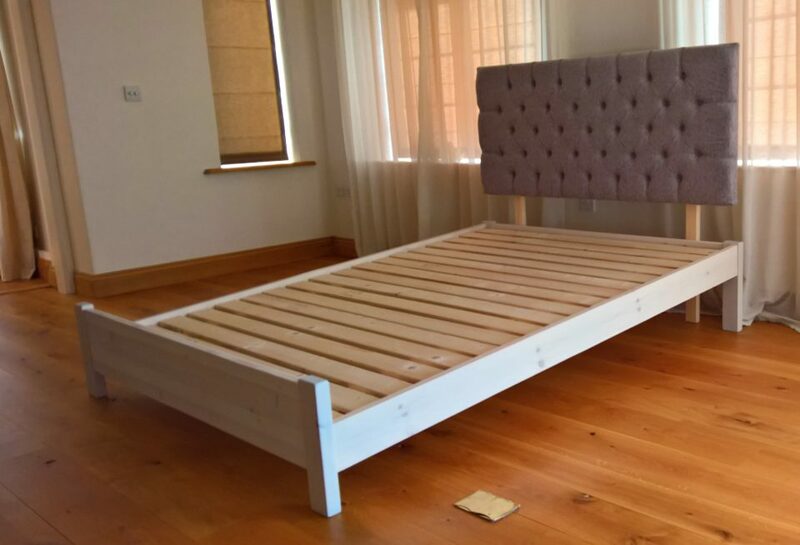 The advantage of our sloping beds is that the headboard and foot board remain upright, when you raise a standard bed frame using blocks these are at the inclined bed angle. 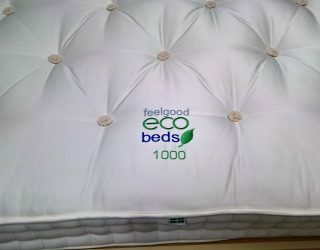 As with all our beds the selling price includes delivery so no hidden extra costs! Gravity inclined sleeping is exactly what it sounds like, instead of sleeping on a flat surface, the bed is at an incline of 5 degrees to help with many sleeping disorders. 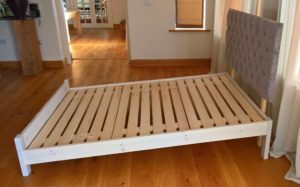 The main benefit behind inclined bed therapy is improved circulation by gravity. 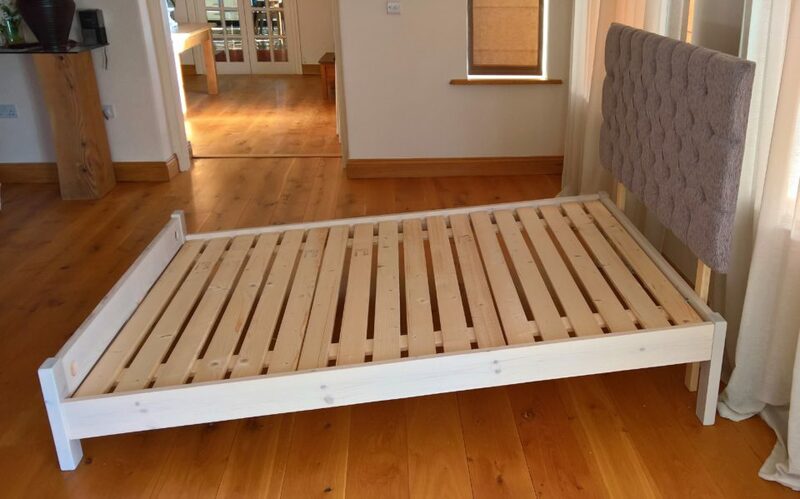 Not many bed manufacturers produce inclined beds and so, when we were recently contacted by a customer who asked us to make one, we decided to produce a range of affordable wooden inclined beds. 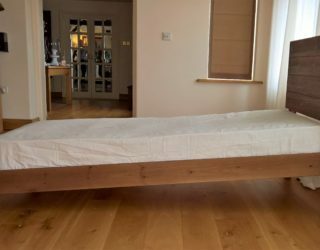 The beds are all made with a 5 degree slope and have a foot board high enough to hold the mattress securely without slipping. Inclined bed therapy can be beneficial to many sleeping disorders, including sleep apnea, restless leg syndrome, snoring and acid reflux. 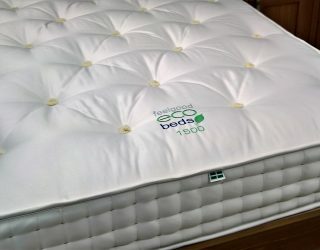 The 5 degree slope is reputed to be the ideal incline for improving your sleep.